An MTB day race in the heart of the Overberg. 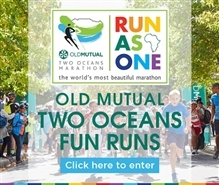 Try one of four distances: 15km, 30km, 45km or 55km, and take part in the beautiful mountain scenery that is in full bloom. A challenging course that caters to new and advanced cyclists, the Patatfees MTB race delivers exciting routes with mostly single and jeep track. Join us for our 25th Anniversary Patatfees, we have an incredible MTB race and weekend planned!